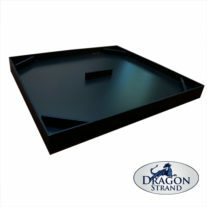 The Dragon Strand Large Breeder Cage is designed for adult arboreal reptiles and amphibians. This size is suitable for Panther, Veiled, Jackson’s Chameleons and other like sized herps. The Breeder Series cages are designed for the breeder or keeper who keeps multiple herps in the same room. Solid cage walls provide visual isolation, more effective lighting, and containment for your mist and watering. Keep the mist in the cage and off your room floor and walls! Specially designed branch holders make it simple to branch your cage with wood branches or artificial vines. Removable cage bottoms are accessible through a trap door making daily cleaning easy with minimal disturbance to your chameleons. These cages fit standard 18” deep wire shelving making the most efficient use of your space. 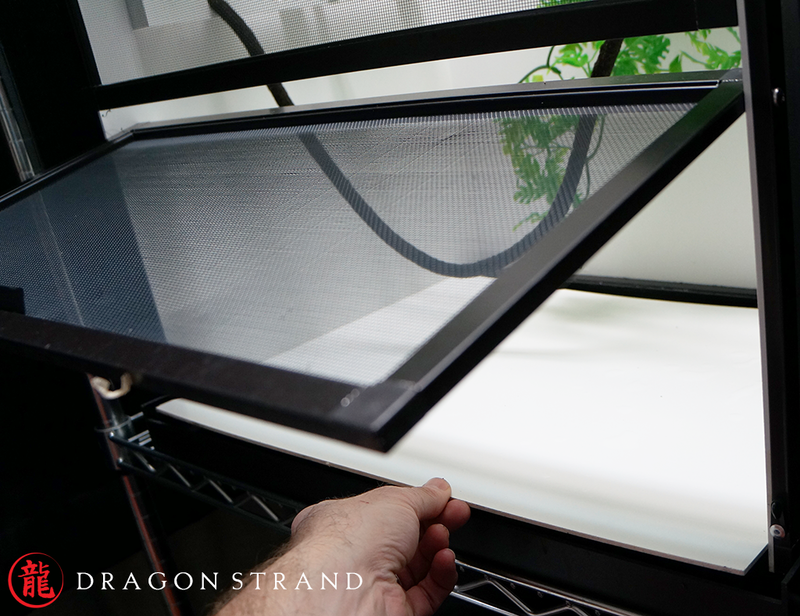 The propriety Dragon Strand breeder cage system is designed for the breeder of arboreal reptiles and amphibians. Though these cages can be used by anyone, this cage system has features specifically to make housing and maintaining groups of animals more efficient. Automated Hydration Ready: To successfully maintain breeding groups of arboreal reptiles or amphibians an automated misting system is critical. 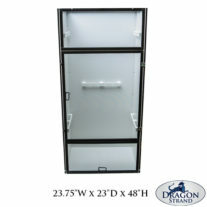 With solid PVC sides and back, Dragon Strand Breeding cages easily accommodate automated misting systems. Misting systems may be installed without worrying about water shooting out of the opposite cage wall and damaging furniture and walls. Space Effective: Breeding groups need an effective cage layout in your floor and wall space. 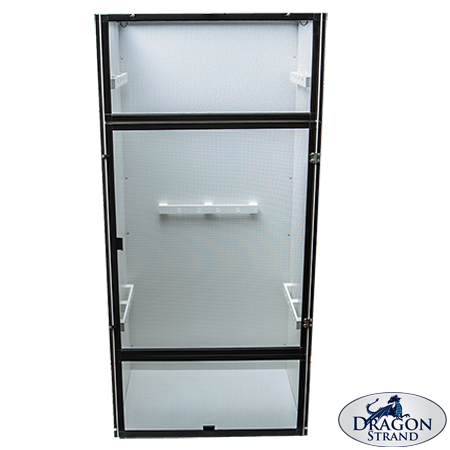 The Dragon Strand Breeder Cage System is designed to fit on standard 18” deep wire shelving found at common club and home improvement stores. An entire breeding project may be housed in eight feet of wall space. Visual Isolation: Solid walls provide visual isolation so that territorial behavior does not weaken your breeding group. 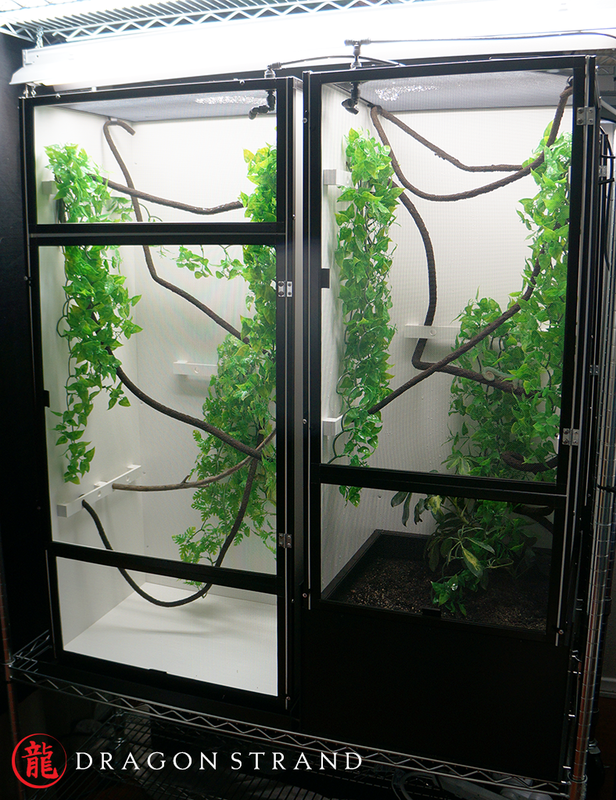 Easy interior Set-up: Arboreal herps require branches, vines, other climbing surfaces and foliage. 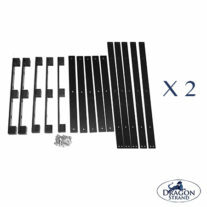 Dragon Strand Breeding Cages comes with vine loops and, on the larger cages, pre-installed branch holders which make creating an interior environment simple. Branches, artificial vines and foliage can be installed in minutes. Quick cleaning: With a group to maintain, time is at a premium with cage cleaning. A trap door and removable PVC floor make both spot cleaning and deep cleaning of the floor a quick, easy, and non-intrusive event. 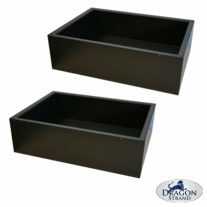 Both a Drainage Tray and Substrate Tray are also available. The Drainage Tray catches water from any sort of misting system or hydration protocol that falls to the bottom of the cage. 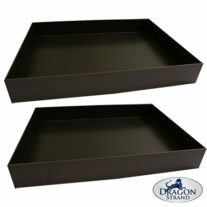 The Substrate Tray may be used by herp owners that require a substrate for their animals. These include Rhacodactylus, Abronia and arboreal frog keepers. Large Breeder Cage + Drainage Tray: 22.5”W x 17.5”D x 46”H.